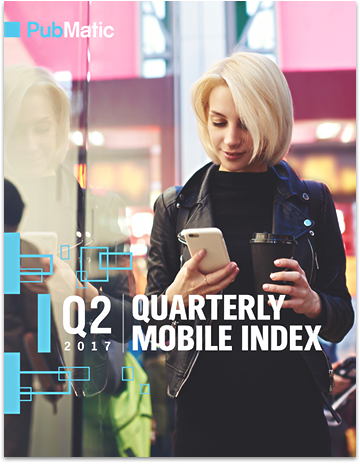 Our most recent Quarterly Mobile Index (QMI) provides actionable insights into trends in mobile advertising for publishers and media buyers based on analysis of the billions of impressions running through our platform, SEVEN, each day. As consumers continue to adopt mobile-first browsing behaviors, we at PubMatic believe it is important for the industry to have relevant information at their fingertips in order to address the growing mobile advertising market. The Q2 2017 QMI report identifies six key trends that emerged in the second quarter of the year. Major themes include rising header bidding monetization opportunities on mobile, emerging programmatic formats like video and native, and the increasing popularity of mobile private marketplaces (PMPs).